At a young age, God called Pastor Carol Simpson; the hand of God continues to shape her course and destiny, as she touches the lives of people. She has been mandated to challenge the Body of Christ, to walk in truth, integrity and CHARACTER. Pastor Carol has been in ministry for years and has imparted the Word of God in conferences and retreats. Her passion is to see the people of God come into maturity in the Body of Christ; therefore she has given herself to training, counseling and mentoring for the success of others. Pastor Carol wrote a monthly article in a magazine The Gospel Times titled, “The Prophetess Corner” where she encouraged Leaders with a Prophetic word and enlightenment. The magazine was a spinoff to a powerful interview Pastor Carol gave entitled, “Church Hurt”. Many leaders around the world were also featured in this interview as well. She has been married to the wonderful Rev. Nicholas C. Simpson Sr. for almost 30 years, who she refers to as “THE KING”. Together they have 3 children and 4 grandchildren. After being employed and licensed in the financial field for over 15 years, God called Pastor Carol into a full-time commitment in ministry. 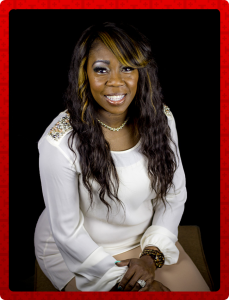 She is also the Founder/Visionary of Women of Integrity Ministries now for over 17 years. There is a Prophetic gift upon her that is driven by love and based upon the truth of God’s word. Our Church will be working with other organizations in the Las Vegas Valley to provide needed services to the community.